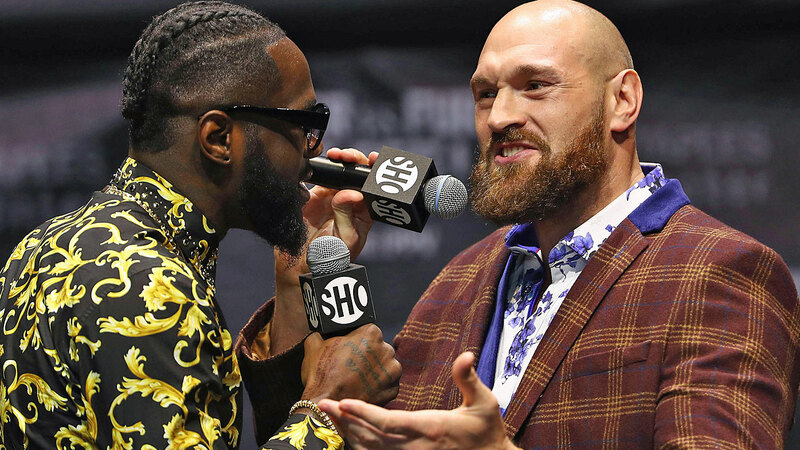 Heavyweight boxer Tyson Fury has claimed he plans to give his seven-figure payday for Saturday's showdown with Deontay Wilder to "the poor and to build homes for the homeless". The undefeated 30-year-old former world champion is expected to earn a career-high purse when he challenges WBC heavyweight ruler Wilder at Los Angeles' Staples Center. After being such a controversial figure he has gained admirers for being so open about his struggles with mental health - and insists there are still others he wants to help. "I'm going to give it to the poor and I'm going to build homes for the homeless," said Fury, according to the Irish Daily Mirror newspaper. "You can't take it with you so I might as well do something with it and help out people who can't help themselves." Fury's beliefs regarding his personal wealth also come despite his wife Paris being pregnant, and with them already having four children. "I believe all kids should make their own money in life because if they don't, they won't appreciate it," he added. "It's easy to spend someone else's money and the money I've earned is practically blood money. My kids have to make their own living and make their own way in life; they won't be living off my name or reputation because that's too easy a route. "You see many of these rich people's kids doing nothing because they had it too easy. I never had it easy, I had to work for whatever I got. I was working from very young, everything I wanted in life I had to work for."